A curated selection for the enthusiast. Phillips’ second New York watch auction (the first one saw Paul Newman’s “Paul Newman Daytona” sell for over US$17.5m) takes place in just under a week, and it’s a diverse line-up from across the spectrum of watch collecting today. 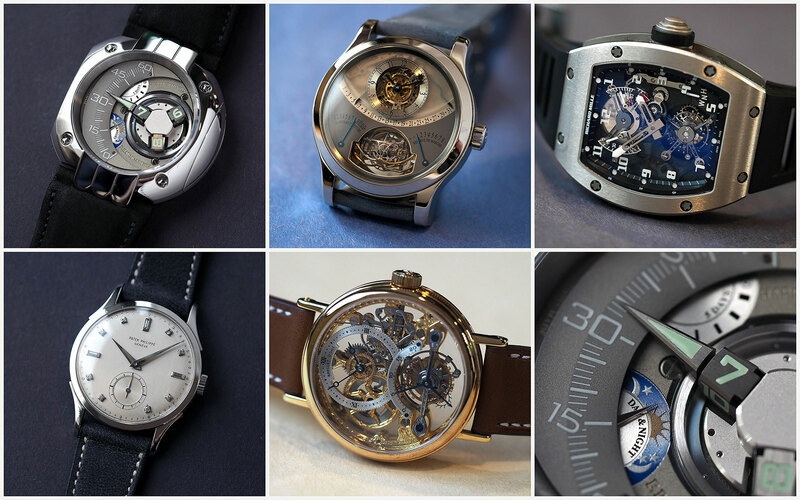 All the prominent vintage watch models are represented – Daytona, Speedmaster, Nautilus and so on – as are important examples of contemporary watchmaking. 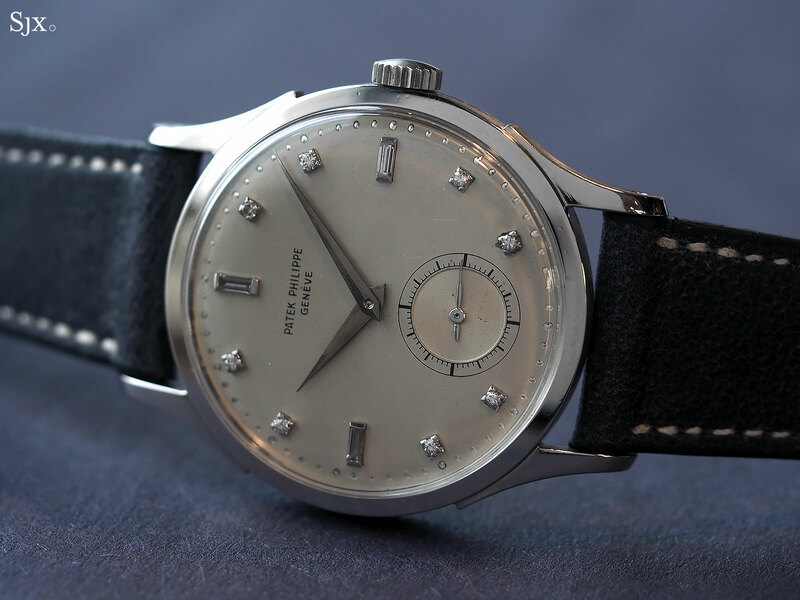 Here’s a look at four notable modern watches in the sale, along with one remarkably elegant vintage Patek Philippe in platinum. 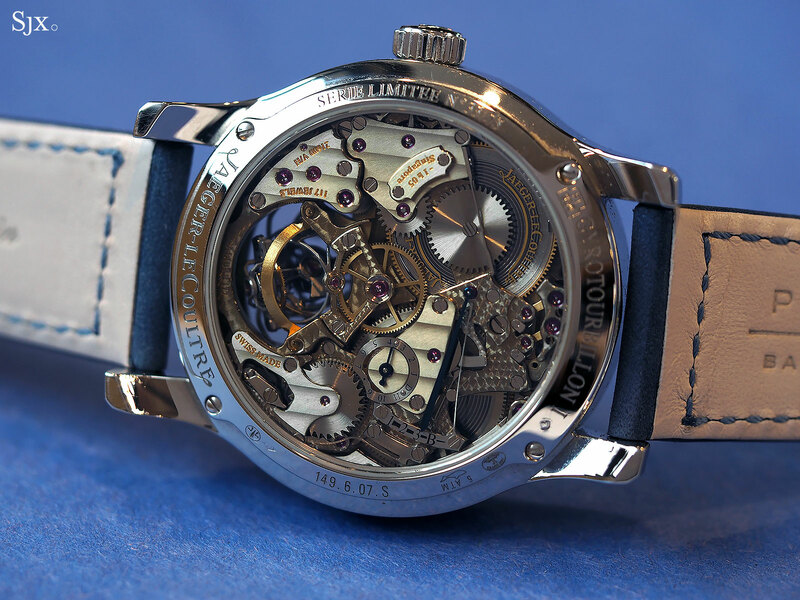 An early example of one of the foundational Richard Mille watches – the movement is numbered “24” while the case is “286” – this is an RM002-V2, which means it is a “version 2” of the second model introduced. 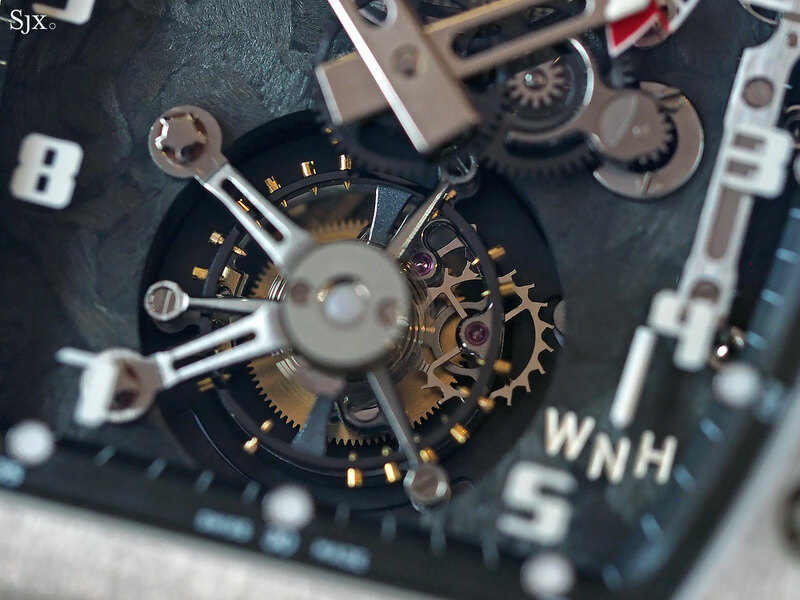 Unlike the preceding RM001 that was relatively plain, the RM002 has most of the features that would later become synonymous with the brand, namely the crown function indicator as well as winding torque indicator. 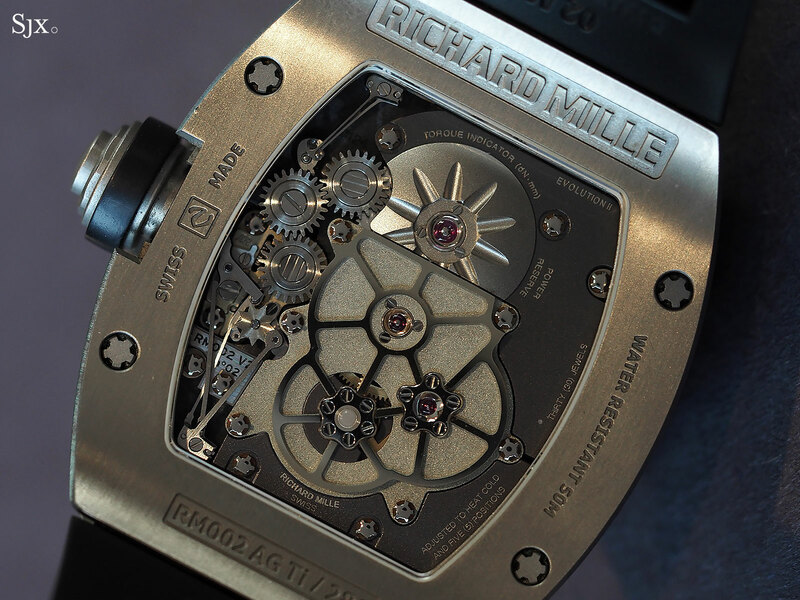 And like most other Richard Mille watches, it is powered by a Renaud & Papi manual-wind movement. 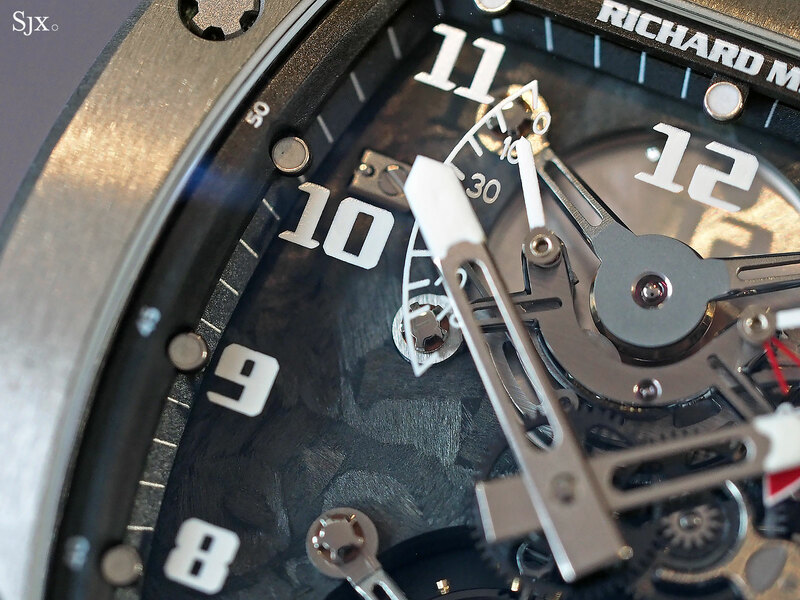 More importantly, the “V2” suffix means the movement has a base plate made of carbon fibre composite, a material that is now widely found within and without most Richard Mille watches. Being an early Richard Mille watch, the case is curved, sleek but also quite compact, giving it a more discreet and technical appearance on the wrist. 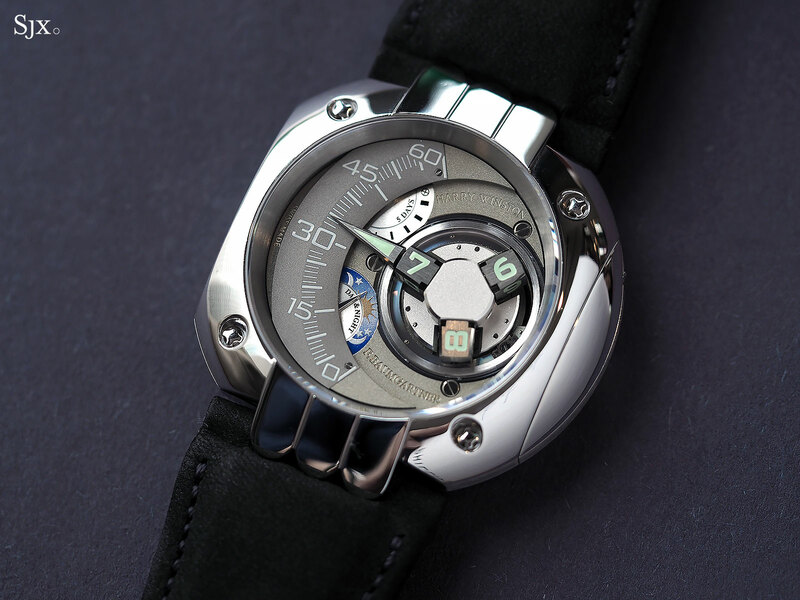 The case is brushed titanium, which leaves the watch lightweight while still retaining a modest amount of mass in the hand. 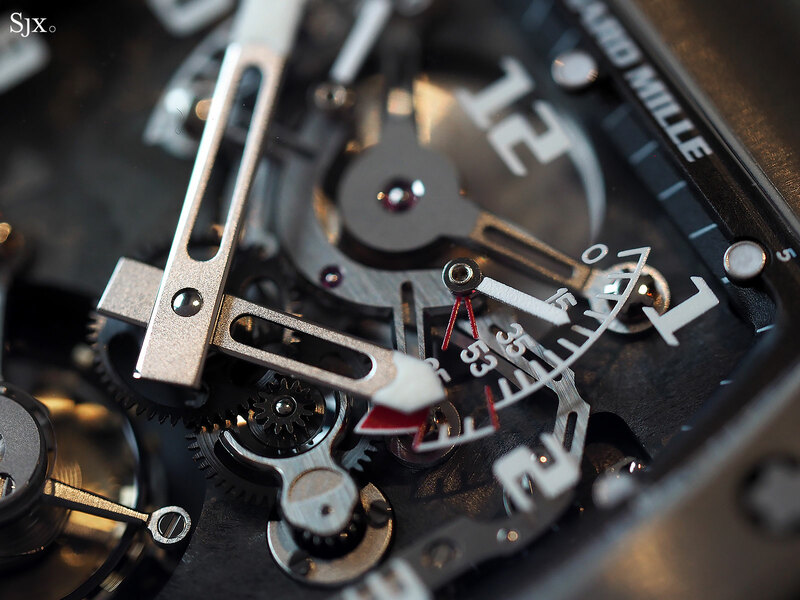 Showing faint signs of wear, the watch is accompanied by its box, service papers from 2010, as well as a recent certificate of authenticity from Richard Mille. 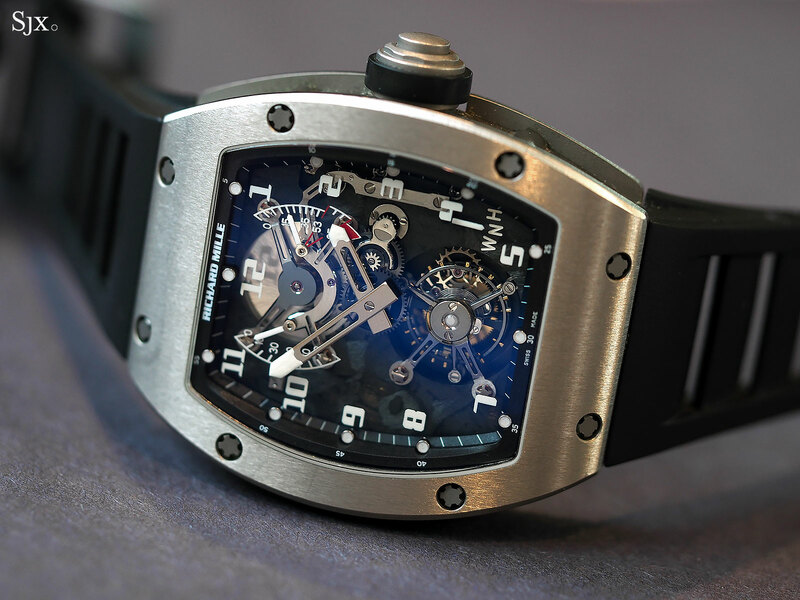 The estimate is US$110,000 to US$150,000, making it somewhat of a bargain compared to newer Richard Mille watches. 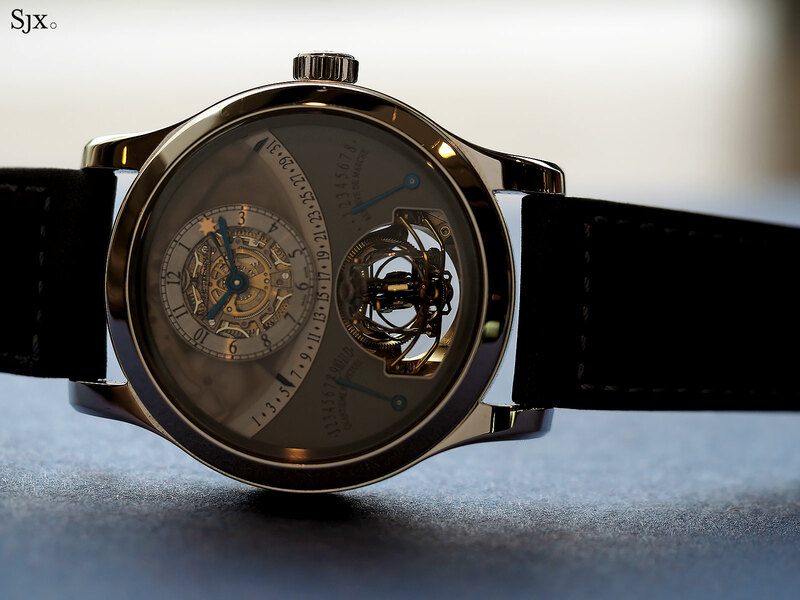 While the Gyrotourbillon 1 is the watch that put Jaeger-LeCoultre on the map in contemporary watchmaking, it has fallen out of fashion, making it a compelling value proposition. 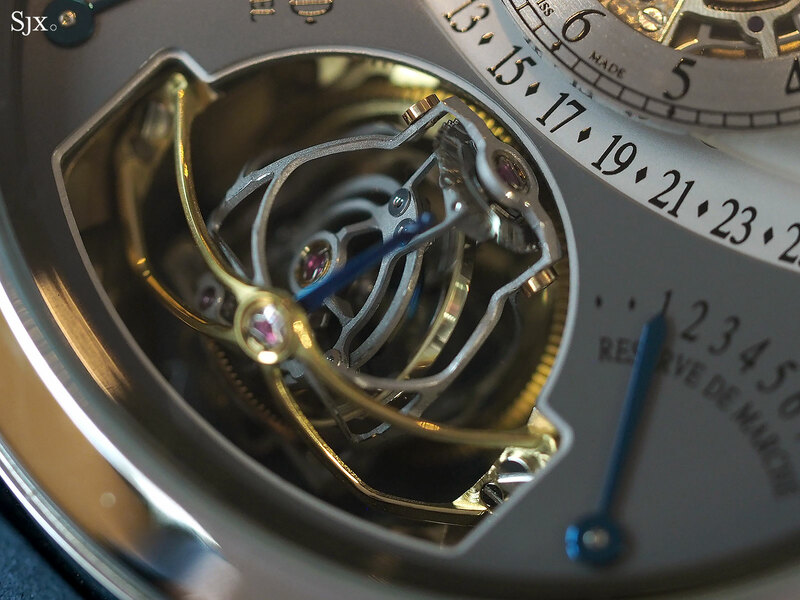 Introduced in 2004, the Gyrotourbillon got its name from the double-axis tourbillon visible on the dial, with one carriage rotating once every minute and the other every 24 seconds, but both being made of lightweight titanium. 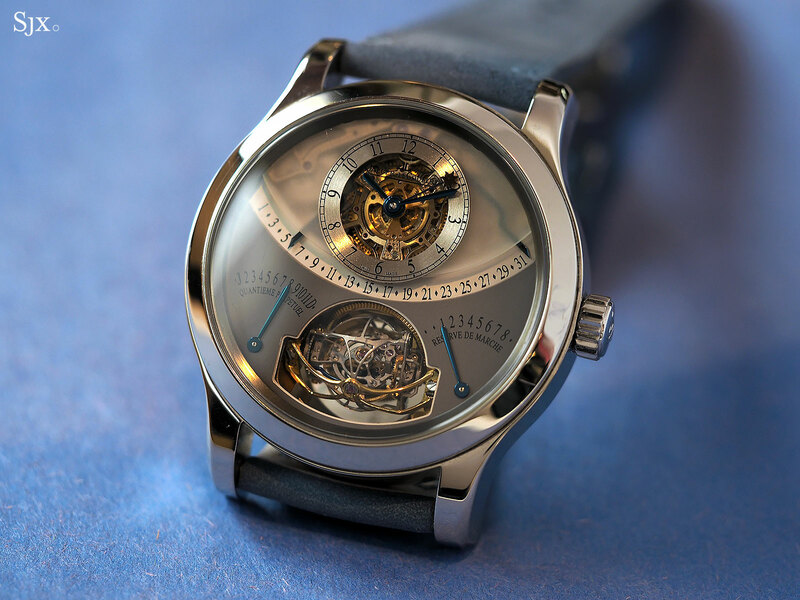 But Jaeger-LeCoultre went all out with extra complications, giving it an eight-day power reserve, twin retrograde perpetual calendar, and also a running equation of time. The month is indicated on a scale at seven o’clock, while the date is indicated by a pair of hands working sequentially for each half of the month. But more notable is the running equation of time, indicated by a sun-tipped hand, that shows apparent solar time in real time, or in other words, the time as indicated by the position of the sun, as seen on a sundial. This deviates from mean solar time, which is the standard 24-hour day, several times a year. And because the equation of time differs depending on the location on earth, this watch is calibrated for Singapore, where it was originally purchased. The watch is complete with the original box, documents and accessories. Its estimate is US$100,000 to US$200,000. 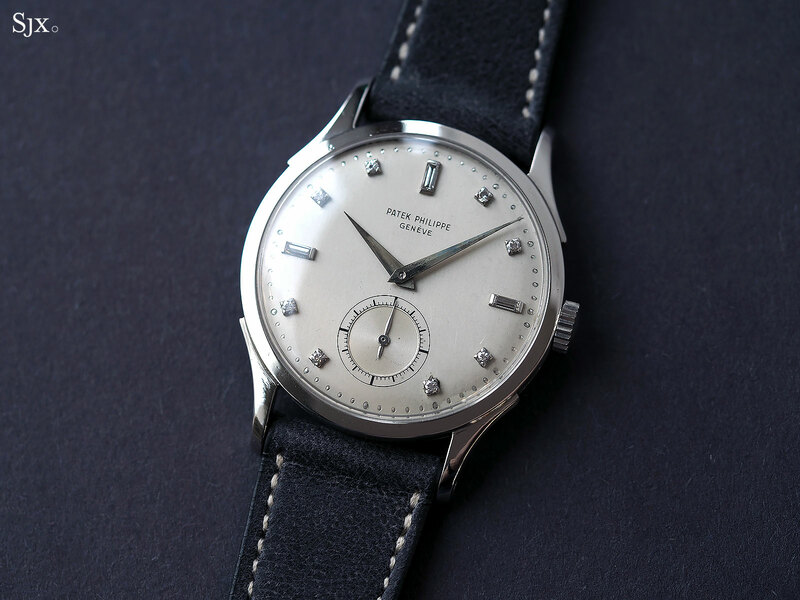 Neither the most valuable nor complicated lot in the sale, the Patek Philippe ref. 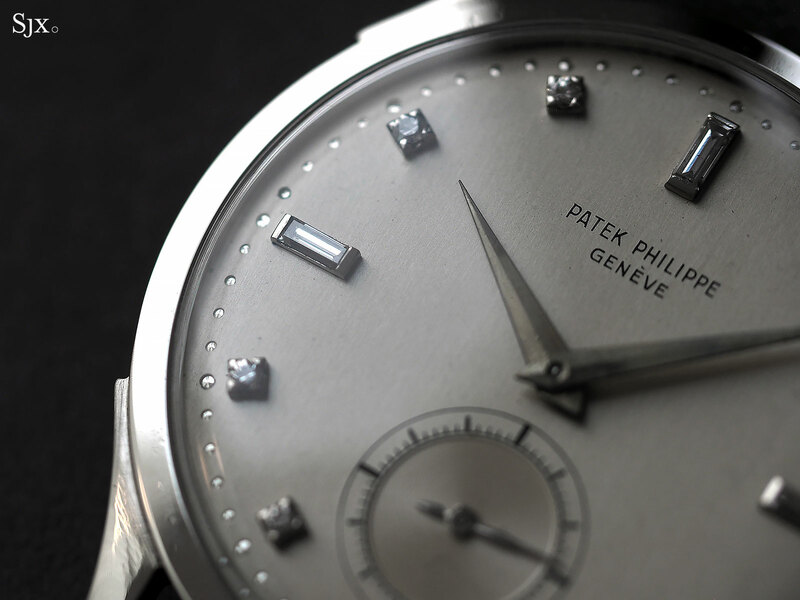 1589 in platinum is nonetheless the most classically handsome watch. And it also happens to be exceptionally rare: it is the first known example of the ref. 1589 in platinum. Produced for about eight years starting in 1944, the ref. 1589 is 36mm in diameter, making it an enormous watch by the conventions of the time, when most men’s watches averaged 33mm in diameter. 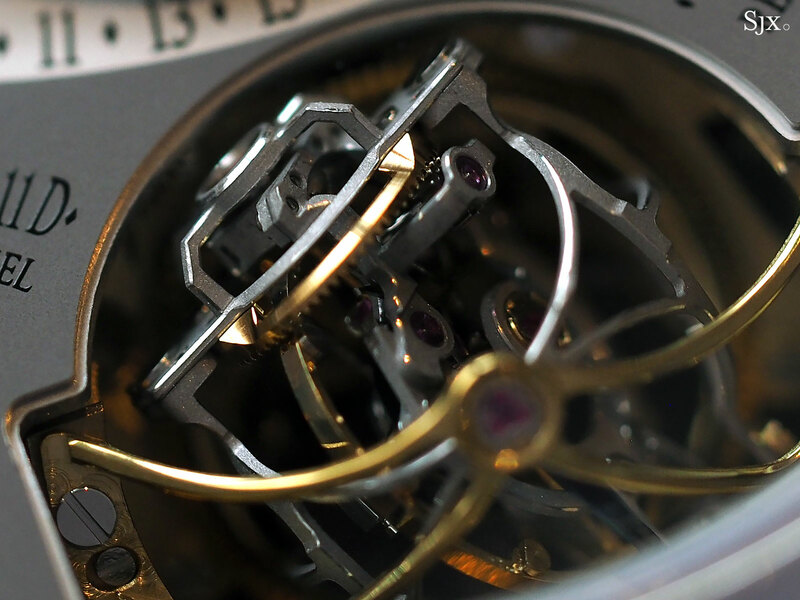 Most were produced in yellow or pink gold with applied hour markers, with only about 43 known to date. This platinum specimen, which dates from 1950, also has diamond hour markers, making it even more uncommon. The watch is in crisp condition, with a well preserved case and dial. 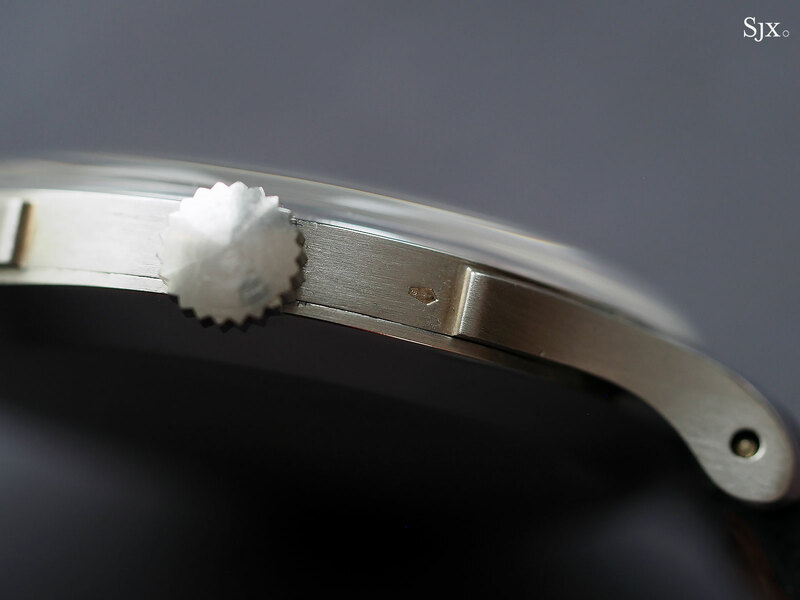 The case retains its original shape and details, including two well defined hallmarks, as well as its original crown. 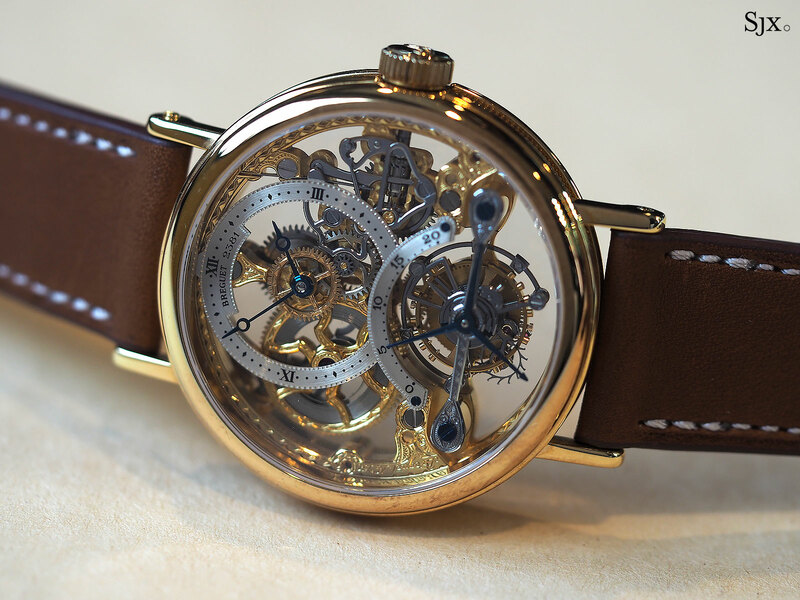 The estimate is US$50,000 to US$100,000, and it is highly likely the watch will finish past the high estimate. 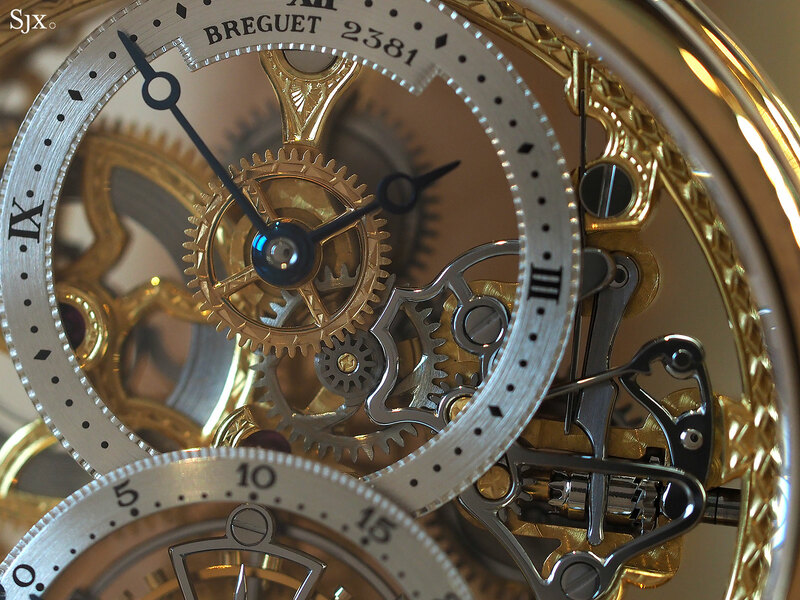 A formal and ornate skeleton watch that is typical of the late 1980s and 1990s, the Breguet Classique Complications Tourbillon Squelette ref. 3355 offers a lot of elaborate movement finishing for comparatively little money. 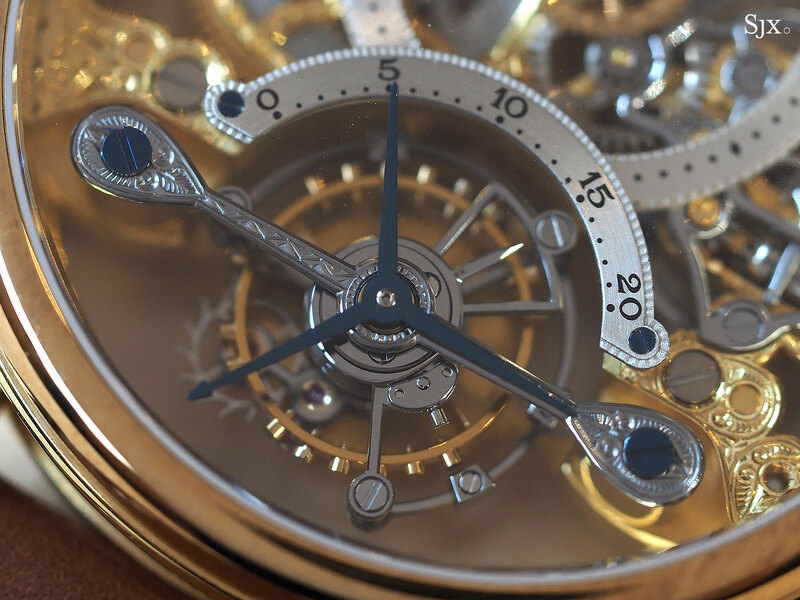 The movement, which is a Lemania tourbillon calibre, has been completely open-worked in a delicate and airy manner; very little is left of the bridges or base plate. 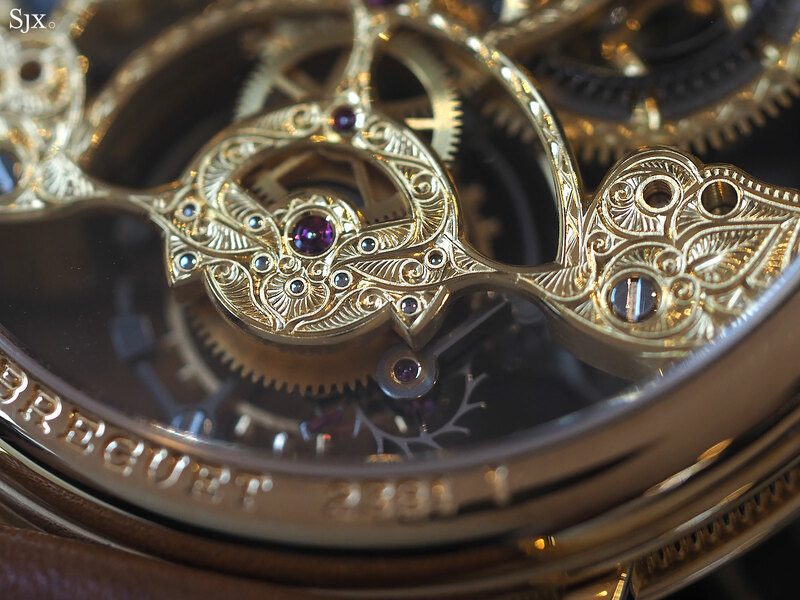 Most surfaces of the movement, even the steel tourbillon bridge, have been hand-engraved with a floral motif. 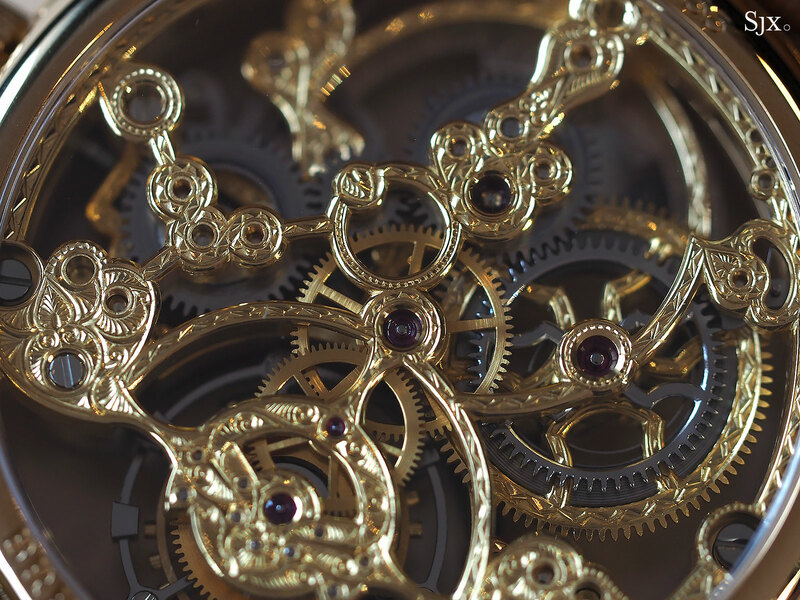 And the components that have not been engraved are finely finished with a great attention to detail. 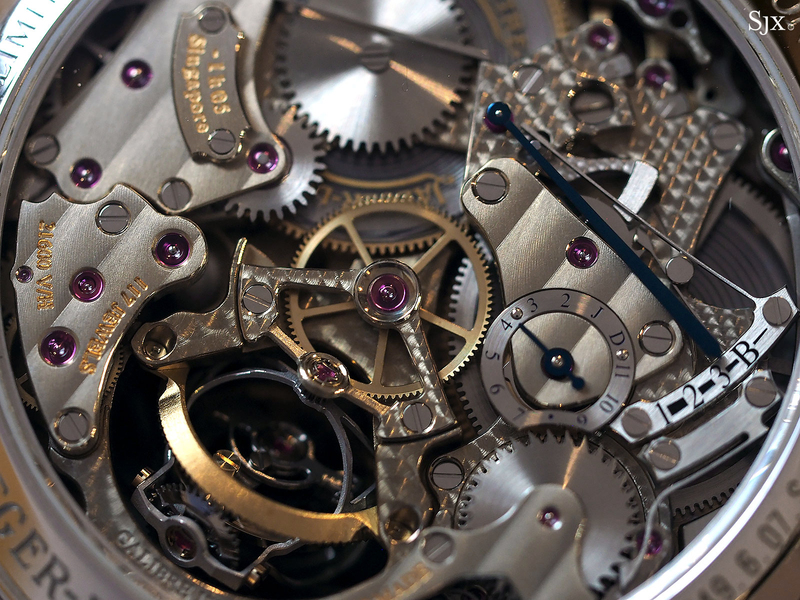 A case in point is the skeletonised keyless works, which have all of its edges bevelled and polished, as is the barrel ratchet wheel. This has an estimate of US$30,000 to US$50,000. It is accompanied by the original box and loupe. Unveiled in 2005, the Opus V was a seminal watch, being the first realisation of what is now Urwerk’s signature time display: a retrograde minute hand and satellite cubes for the hours. 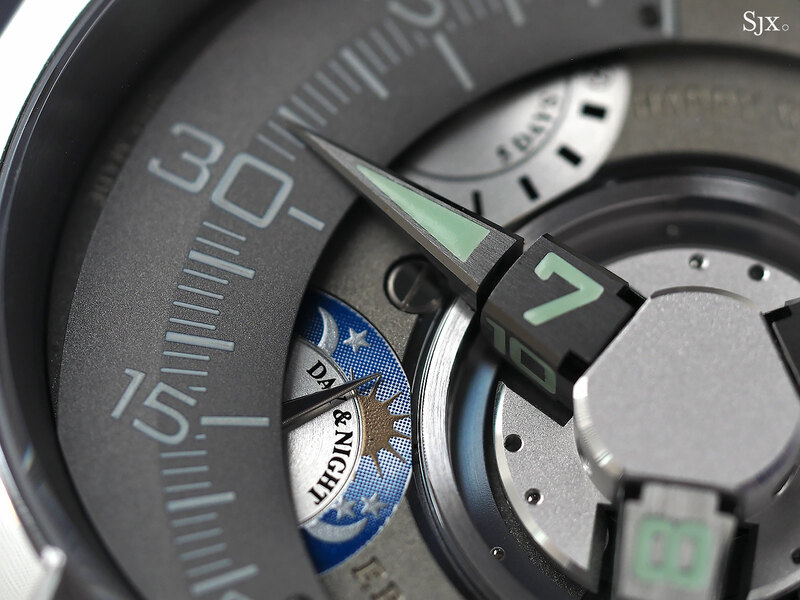 It was the result of a collaboration between Harry Winston and Urwerk, which is why Urwerk co-founder Felix Baumgartner’s name is engraved on the dial and case back. While in subsequently Urwerk watches the movement was position to have the crown at 12 o’clock, the Opus V rotated the calibre 90 degrees. 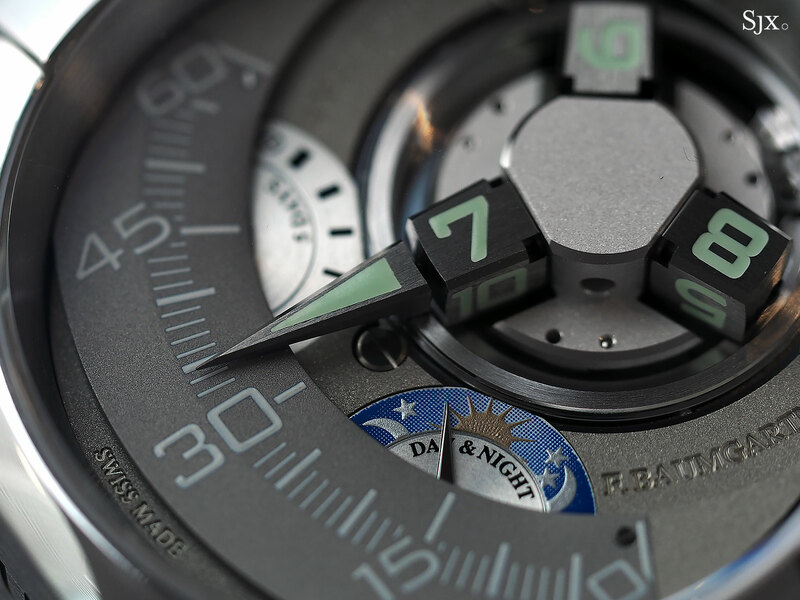 Consequently the retrograde minutes is on a vertical track that goes from six to 12 o’clock, while the satellite cube display sits on the right half of the dial. In between the two are a power reserve indicator, plus a day and night display. 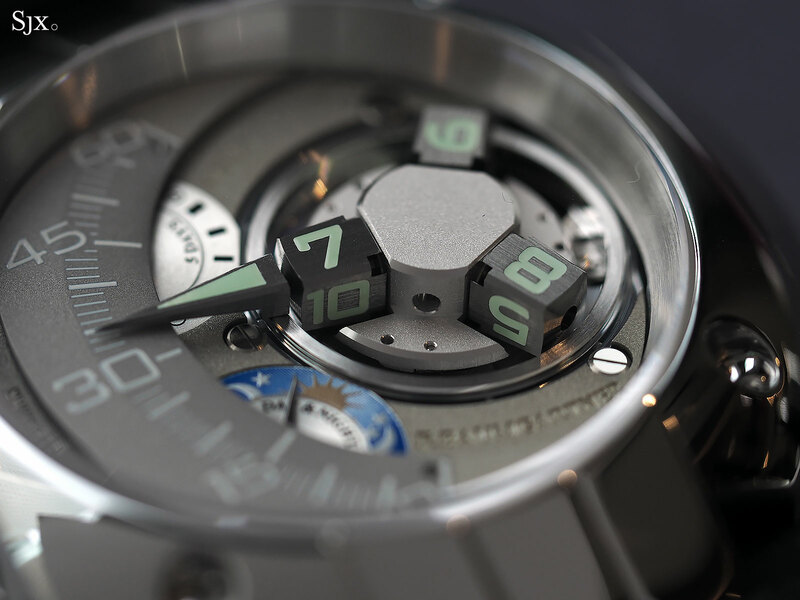 Though it’s over a decade since this first came to market, the satellite cube time display remains one of the most inventive and sculptural methods of telling the time, while being surprisingly easy to read. The case is absolutely massive at 50mm in diameter, and made of platinum, which gives it an incredible weight. 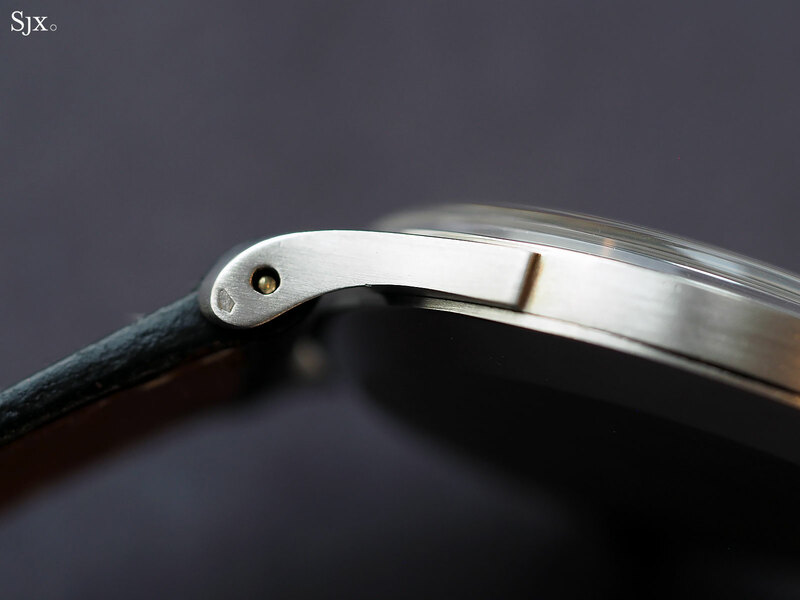 A swivelling cover hides on the crown on the right of the case, while the flat left flank is engraved with the model name. 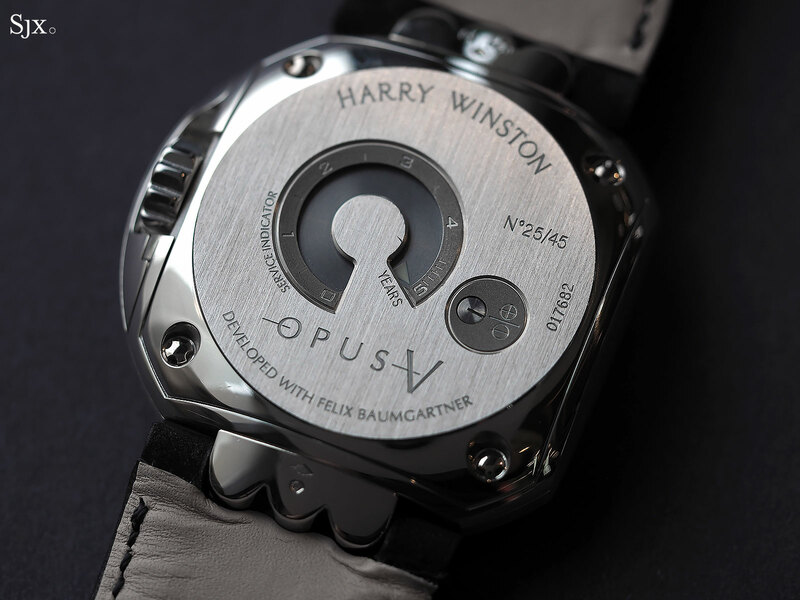 Like many Urwerk watches the Opus V also has a service indicator on the case back, which shows how long it has been since the last service. This indicator on this particular watch is at the five year mark, so an overhaul might be due. 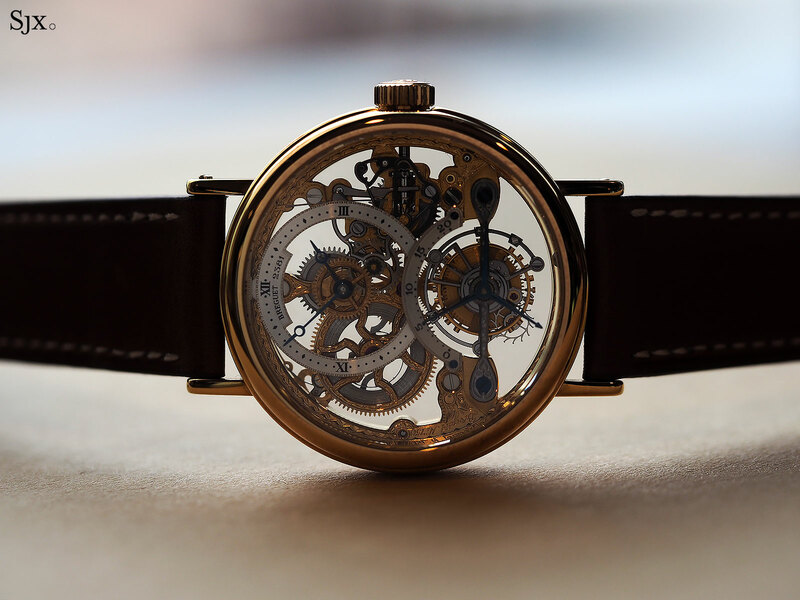 But the watch is in excellent functional and cosmetic condition, which is a big plus, since the size of the case means it picks up scuffs relatively easily. 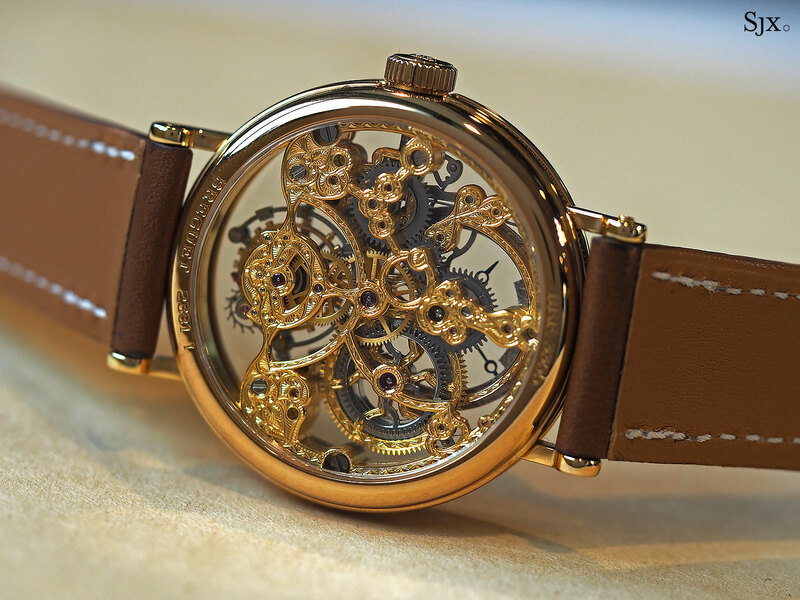 Only 45 were made in platinum, with another 45 in rose gold, and this is numbered “25/45”. 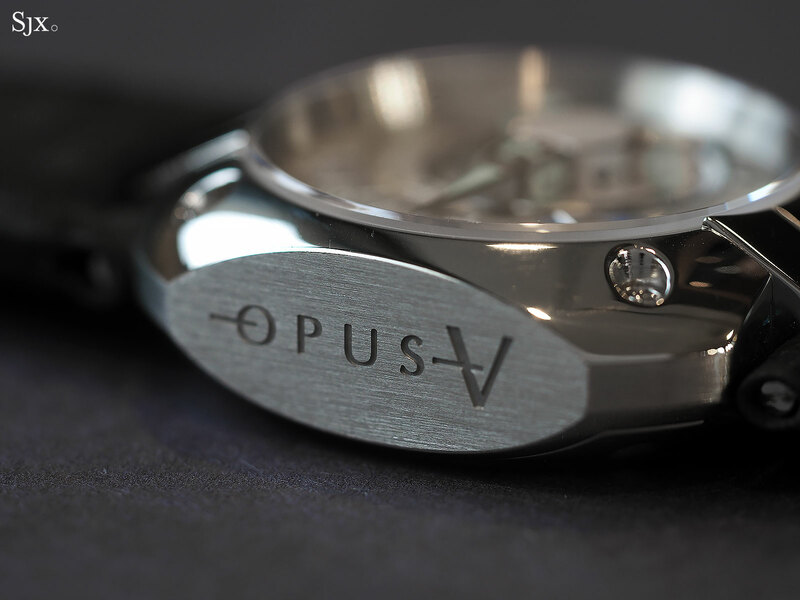 The Opus V has all its original box and papers, and has an estimate of US$60,000 to US$100,000. The preview exhibition takes place from November 30 to December 5 at the Phillips’ saleroom at 450 Park Avenue. It is open to the public. The auction will happen at the same location on December 5, starting at 6pm. Tickets are required for entry. The full catalogue as well as ticket reservations can be found here.